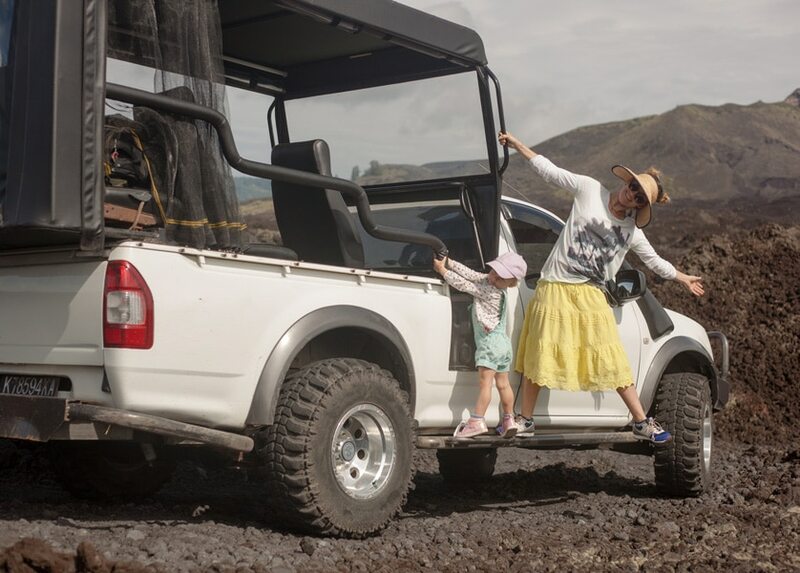 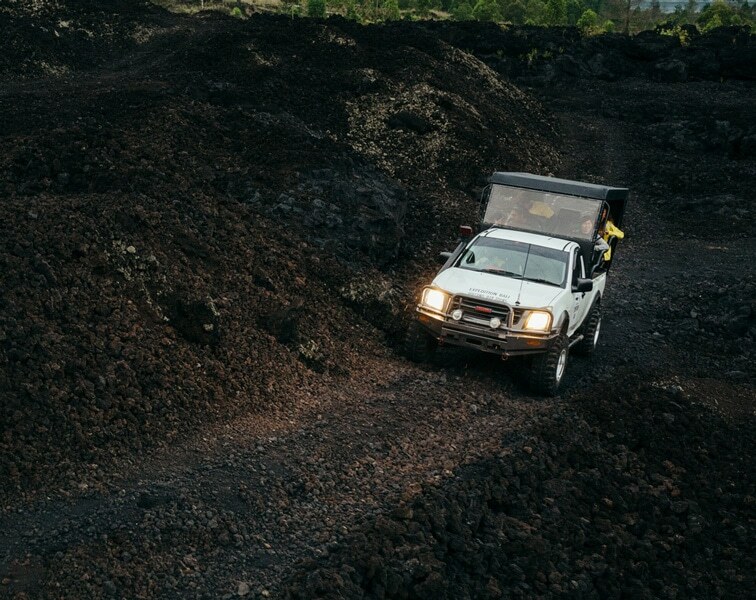 No trip to Mount Batur should be complete without a tour of the lunar-like landscape of the black lava fields, and one of the most exciting and easiest ways to see this natural phenomenon is on a Black Lava Jeep Tour. 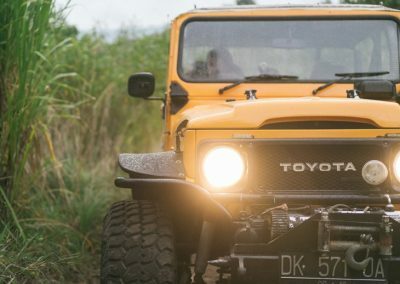 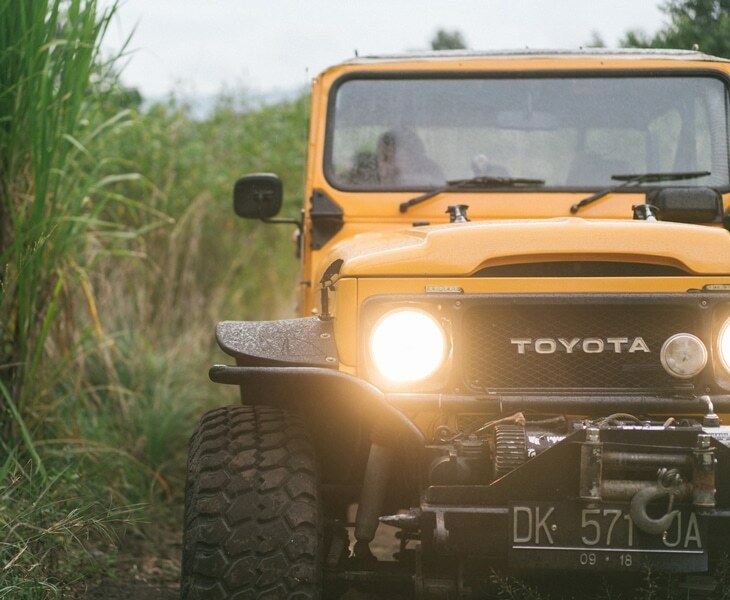 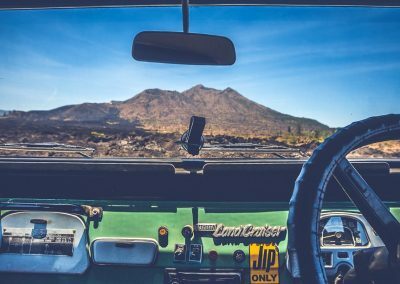 Hop on a custom-made 4WD vehicle to traverse the rugged terrain leading up the volcano and learn about the fascinating history and geology of Mount Batur and the Kintamani area. 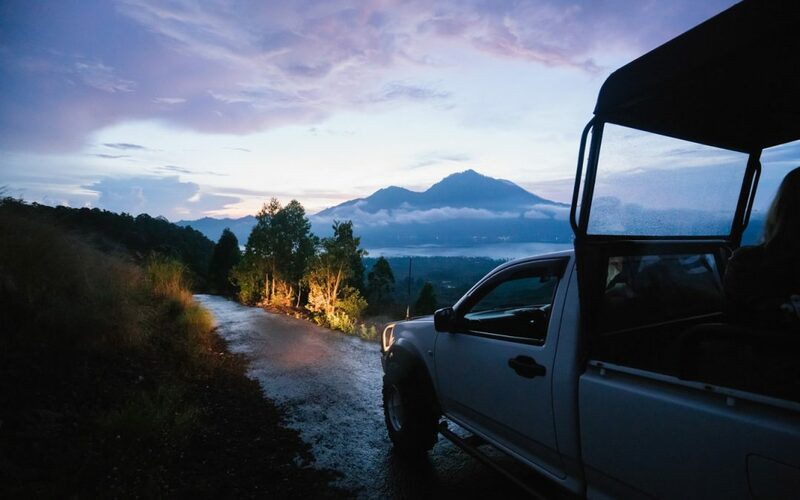 Your adventure begins at the Bali Sunrise Villas & Restaurant where you will meet your experienced driver who is also a certified Batur Mountain Guide Association member. 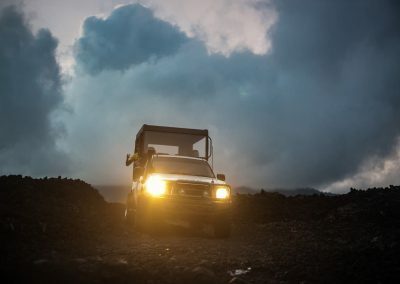 Then you climb aboard a powerful SUV vehicle specially modified to handle the steep and rocky terrain. 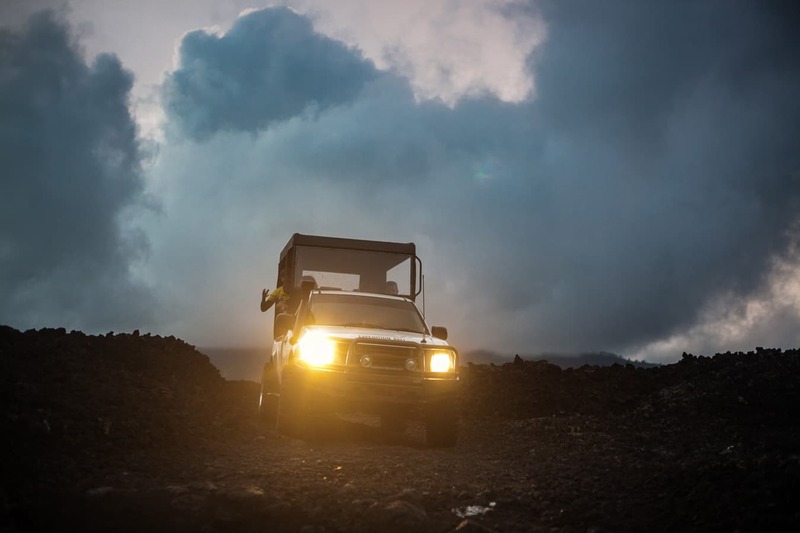 Your guide will power through the lava fields and up the side of the volcano, stopping at various points like the Lava Ball holy lava cave, the 1964 eruption site, and scenic spots where you can take in panoramic views of Kintamani laid out below and local farmers tending their fields. 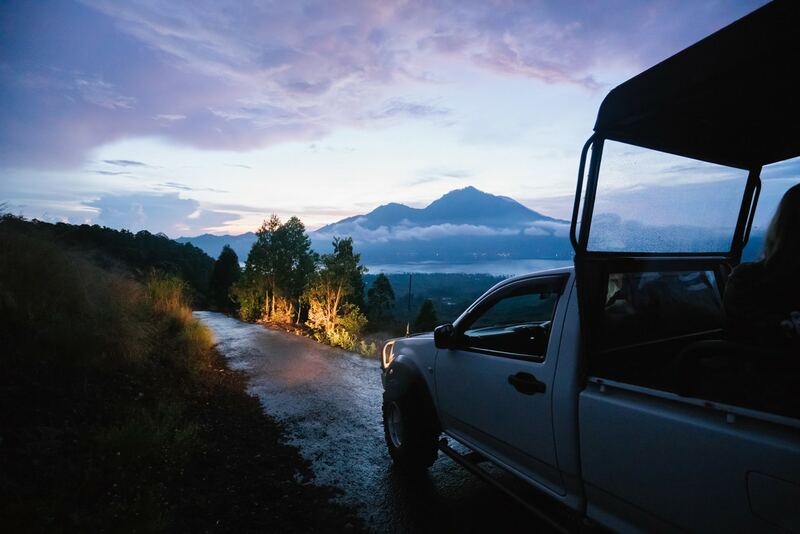 Throughout the journey, your English-speaking guide will explain various features of the landscape, the history of the volcano and its eruptions, and the spiritual significance of the volcano and sacred spots on its slopes for the Balinese Hindu community. 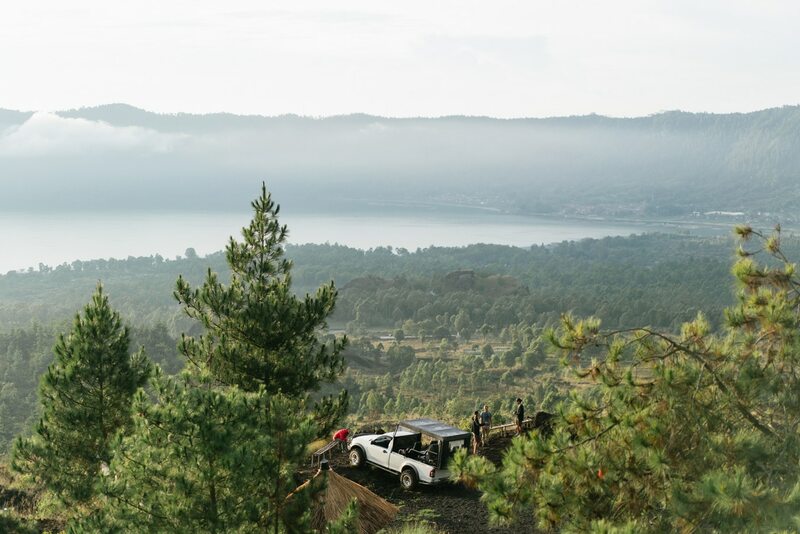 Be sure to bring your camera because the scenery here is simply spectacular! 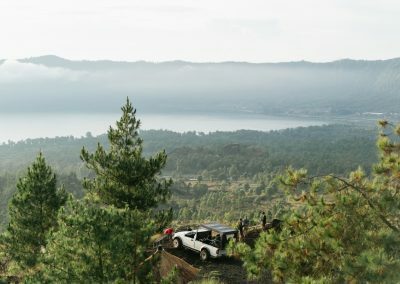 10:00 AM: Start and transportation to the bat cave, located on the slopes of the Mount Batur volcano. 10:15 AM: Arrive at the cave, see the bats, enjoy the view of the lava field, lake and surroundings. 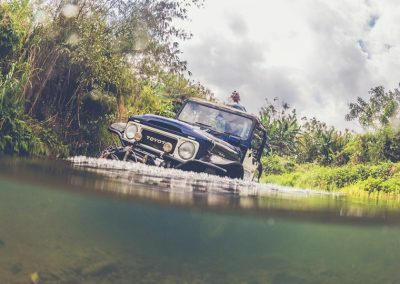 After your 4×4 adventure, you may choose to have lunch at our villas & restaurant, visit the hot spring pools, or just direct transport back to your hotel.